LiveFriday is a regular event at Oxford’s Ashmolean Museum, consisting of interactive exhibits, talks and displays. 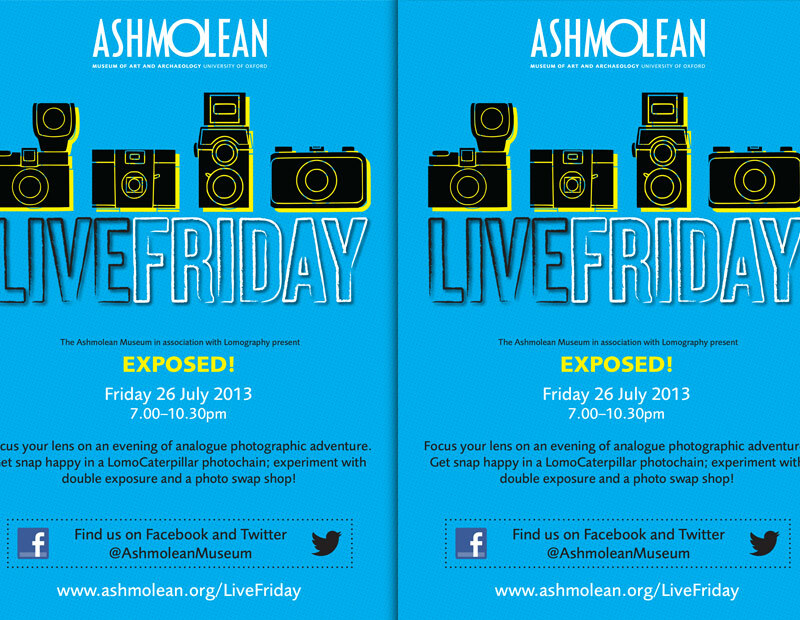 The theme for the 26 July 2013 LiveFriday is Exposed! – a celebration of analogue photography.